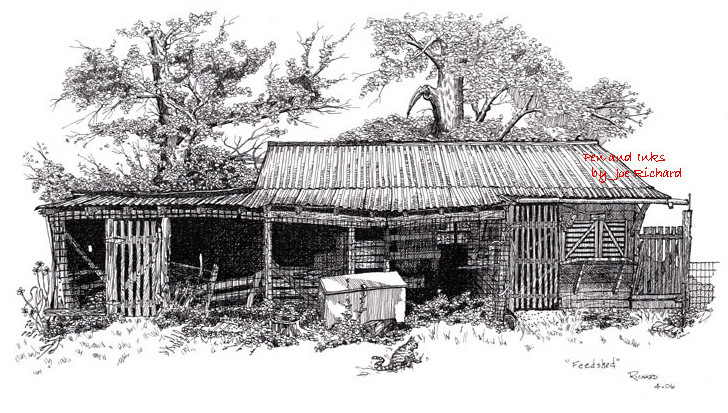 "Feed Barn" is a study undertaken after a 15 year absence from artwork by this artist. 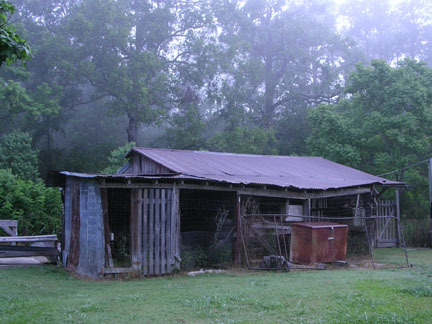 Currently living in the country after spending most of his life in the city, the artist wanted to create a simple still life of a typical country feed barn located in southwestern Louisiana. The "Feed Barn" was a study in line art and shadow techniques. As opposed to the majority of the pieces of art depicted on this web site, this study was done directly from viewing the subject as opposed to drawings taken from photographs. Much of the details were accomplished by utilizing trial and error techniques. The work took approximately 20 hours to complete and measures about 8 x 12 inches on an 11 x 14 background. The feed barn photo used in completion of this artwork. The photo was taken by the artist and is Copyrighted by him.